Soulcalibur VI is a three-dimensional fighting game, in which players can fight each other by using various characters equipped with melee weapons like swords, axes, daggers, hammers, rapiers, sables and sticks. 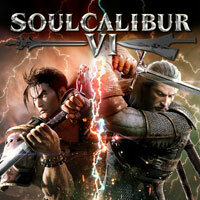 Soulcalibur VI for PC, PS4 and XONE is an advanced, three-dimensional fighting game that enables the players to fight by using various melee weapons: swords, axes, daggers, hammers, rapiers, sables, sticks etc. The title was developed by Bandai Namco. The story of Soulcalibur VI for PC, PS4 and XONE revolves around two magic, intelligent swords of immense power: the cursed, demonic Soul Edge and its counterpart, the holy Soulcalibur. The game takes place in a fantasy world inspired by renaissance (16th century) and features cast of characters from various areas of the world: from feudal Japan, through China, to Europe. The PC, PS4 and XONE version of Soulcalibur VI is a classic 3D fighting game. The players select a character (each one uses a different weapon and features unique command lists) and fight each other on three-dimensional arenas. In addition to regular attacks (that can be combined into deadly combos) the players can perform special attacks, throws, parries, dodges. It is also possible to take advantage of the surroundings like walls or chasms. The game features singleplayer modes and advanced multiplayer modes – both local and through Internet. Soulcalibur VI for PC, PS4 and XONE is powered by Unreal Engine 4, an engine developed by Epic. It provides attractive visuals.